At present, Urumqi Diwopu (Diwobao) International Airport has become one of the most important national gateway hub to connect western China with Central Asia, West Asia and Europe. About 150 air routes of over 40 airlines have been opened in this airport for passengers traveling at home or abroad. Travelers are able to reach here from 31 international cities and 54 domestic cites of around 20 countries and regions, such as Beijing, Shanghai, Guangzhou, Shenzhen, Xi'an, Hong Kong, Macao, Taipei, Moscow, Istanbul, Almaty, Tashkent and so on. Located to the northwest of the city, Urumqi Diwopu (Diwobao) International Airport is about 16 kilometers (9.9 miles) from the downtown area. So far, this airport owns three terminals: T1 and T2 are mainly for the domestic flights; T3 is the largest and newest terminal building and serves both domestic flights and international flights. There is one airport shuttle bus line and three city bus lines to downtown area, as well as long-distance buses to over 40 cities in Xinjiang. How much does it cost for flights to China Urumqi from overseas destinations? The ticket fare of about CNY 1, 000 - 6, 000 for direct flights from some cities or regions in Central Asia and West Asia to Urumqi is frequently seen, such as Almaty, Teheran, Islamabad, Novosibirsk, Astana… As for Moscow, the cost on the ticket varies from CNY 2, 500 to CNY 20, 000; if you can get some discounts, you may only pay CNY 4, 000 - 6, 000 on average. You can get real-time flight ticket prices or prices of more flights via the search box on page top. 1. Book the tickets 1-3 months ahead and you may have greater chance to catch the tickets with high discounts. 2. 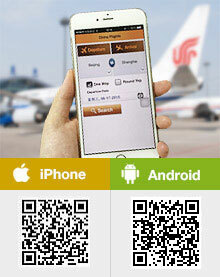 Focus on the changes of ticket fare on the airlines’ official websites or some booking Apps. Kill the special ticket without hesitation. There are some discounted tickets provided for passengers every now and then. 3. Try to travel in off seasons, which is in general cheaper than traveling in hot seasons. The domestic ticket usually enjoys 30%-60% off discount in low season from November to next March, while the discount in high season from April to October is usually 20%-40% off. 4. Usually, Tuesdays and Wednesdays in a week and the early and late flights in a day cost you less. 5. Airlines often want passengers to choose their flights on back trip to increase their occupancy, so it's much cheaper to buy international round-trip tickets than to buy two one-way tickets. 6. The ticket fare of low-cost airline is usually cheaper than traditional airlines. But their service and baggage allowance may not be that satisfied. Why not take a train? I am an indian citizen . I have the usual regular visa to visit china . I use this visa to visit shenzhen and shanghai . Is this the very same visa that will also permit me to visit Urumqi and Kashgar ? Hello Sir, I want to travel from Islamabad to Beijing via Urumqi. After your arrival at T3 in Urumqi, you will go through the passport control on 1F and then claim your luggage at the Baggage Claim Hall, go through Costoms Inspection. After that there will be a transferpassage and staff there will guide you to the counter for transfer process. After you go through the security check on the 2F, you can wait for your next trip then. hello sir,,,i am a student in china ...i am a pakistani..i want to go back to pakistan..
We are TravelChinaGuide instead of the airline. The information on our website is for reference. If you need to contact the airline, we suggest you to search for the official website of the airline. Hope for your understanding. Thank you!